When I tell you that my husband got me a paper cutter for Mother’s Day. 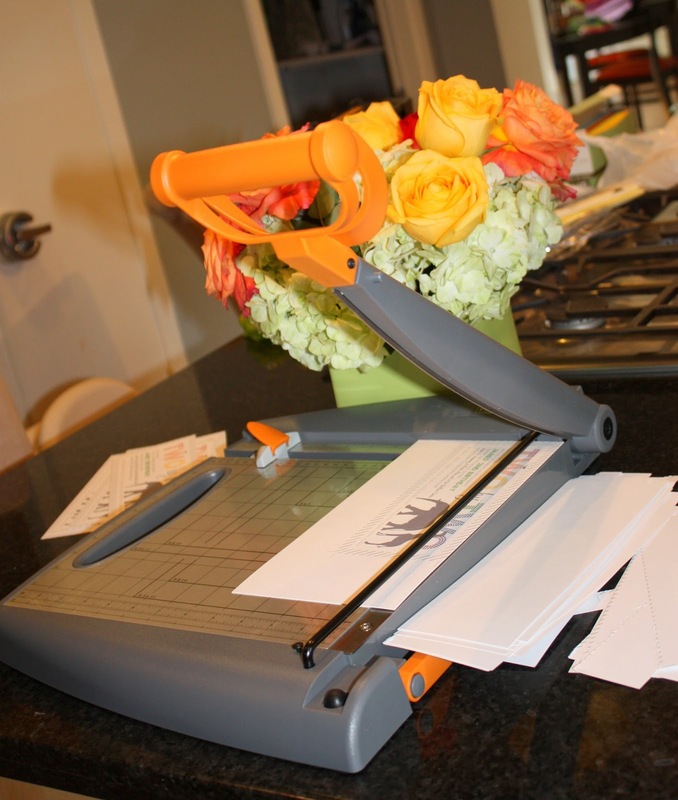 I know, I know, here I am bragging on the interweb about my new paper cutter that can cut all sizes of paper. I have zero shame which all seven of you know. Look at her! Isn’t she a sight to behold? Wait, you don’t get excited about a heavy duty Fiskers machine? How are we friends? Oh that is right, you are normal and I need you. Please don’t leave me. Sigh. I could just stare at her all day. I am so thrilled that Alex has finally figured out that I don’t want an Alex-selected gift for Mother’s Day (or any other day PS). The past few years he has given me massage gift certificates which sounds awesome, I know. However I can’t figure out when to use them, especially working full time. I already have limited time on the weekends with the boys and I have to go to the grocery store, Petco, etc. and the personal and fun things just fall to the wayside. So the gift cards sit in my closet staring and me and making me feel guilty. This year he just asked what I wanted. And I replied: a large paper cutter. One that can cut 12 x 12 paper. Much cheaper than a massage but would require him to go to Micheal’s, a place he deems “depressing”. Funny that a place I could spend hours in makes the hubs depressed. To be fair though, the thought of going to the Original Ninfa’s has the same effect on me. And I am thrilled. It is super sharp and scary. I used it to cut James’ Noah’s Ark themed invites and it made my day. Don’t worry I keep it up high, in a locked cabinet. Safety scissors are one thing but I don’t mess around with a slicing blade. And you know I don’t like help with my crafts. Hope Alex used a 40% off coupon at Michaels! I have the Michaels app…as well as Hobby Lobby's, Hancock's, and JoAnn's! One never knows when one might need a coupon! 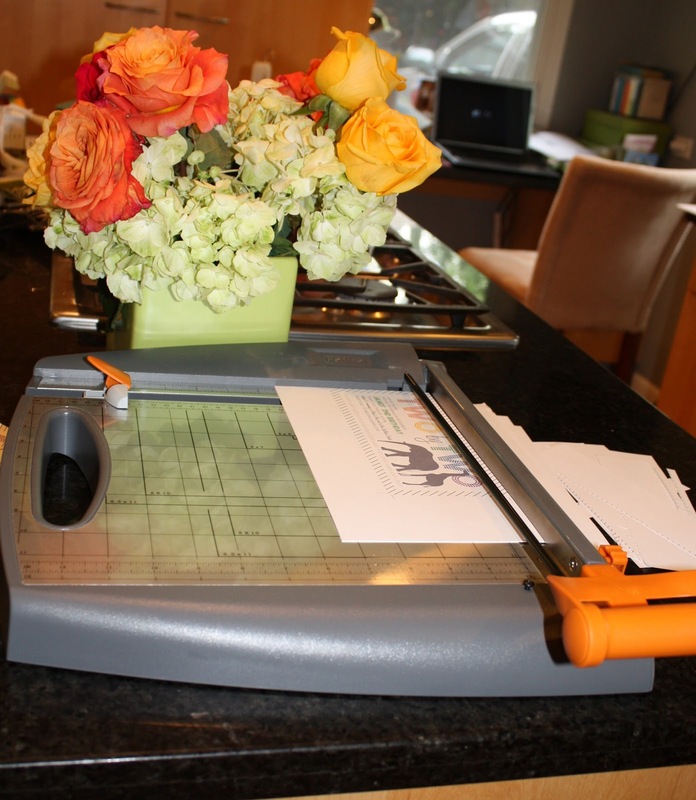 I love MY papercutter also! Use it ALL THE TIME! This is an AWESOME gift. I might be a little jealous.